Sobriety Courts were first introduced in Michigan on January 1, 2011, as a pilot (test) program. That pilot program became permanent as of January 1, 2015, and the number of Detroit-area sobriety courts (meaning those in Wayne, Oakland and Macomb Counties) has continued to grow ever since. In this 2-part article, I want to look at what these drunk driving programs are all about, and how they can sometimes come up short. I want to examine this from a somewhat different perspective than the typical lawyer, and even the average DUI lawyer. Although I am, first and foremost, a Michigan DUI lawyer, I also have a formal, post-graduate education in the field of addiction studies and fully understand the development, diagnosis and treatment of alcohol problems as much as I understand that you hire a DUI lawyer to get you out of trouble. The real bottom line is that you pay your DUI lawyer to make things better for you, and, in the right circumstances, sobriety court can be a useful tool to help accomplish that. The goals of sobriety court programs are great, and there is a lot of potential for these programs to be very successful, but they can also suffer at the hands of close-minded thinking. There are many ways people achieve sobriety; I have seen, first-hand, how well a more holistic approach can work, having been part of DUI cases where an astute, flexible and well-informed Judge has allowed a person in a sobriety court program a choice amongst various treatment options in order for him or her to find and connect with one that is a good fit. By contrast, I have also seen how a “traditional,” one-size-fits-all approach that matches a person with the wrong recovery process produces nothing more than a lot of frustration and wasted time. The ultimate goal of sobriety court is to help people get sober. Sobriety courts offer extensive treatment and counseling coupled with intensive probationary supervision. A person in sobriety court will be tested (breath and/or urine) very often to make sure he or she isn’t drinking or getting high. The ideal candidate is a person who, faced with a 2nd offense (and, in some cases, even a 3rd offense) DUI, realizes that his or her drinking has become a problem and wants help to stop. In the real world, a 2nd (or subsequent) offense DUI will cause a person’s driver’s license to be revoked. This means taken away for good, and not merely suspended. Because one of the key benefits of sobriety court is that the Judge can override the Secretary of State’s mandatory driver’s license revocation, it can seem like a real lifesaver. I suppose the problem comes down to this: Sobriety court sees itself as a way to save a person’s life, and the driver’s license as a reward for all the work a person will be doing; people see the driver’s license as the grand prize, and think they’ll figure out a way to “get by” and make it through the program. If you’re getting a sense that these are demanding programs, then you’re getting the idea. From my perspective, the whole concept of sobriety courts is wonderful. The reality, however, is that sobriety courts are like restaurants; every one is different, and where I may not like the one you think is so great, you may not care for the one that is my favorite. In that sense, it comes down to “different strokes for different folks.” Although it’s not some “newfangled” idea, the notion of matching a person to the kind of treatment that works best for him or her is growing in popularity, limited really only by the existence of those who don’t have the skill set to offer it. In other words, whereas the old-school idea of treatment used to be an intensive outpatient program (IOP) followed by aftercare (often a mix of individual and group counseling). AA is almost always part of that deal, as well. This is a solid approach, and it can teach a newcomer some very important basics of recovery. The problem is, however, that it’s not a good fit for everyone. Some people dread being in groups and talking about themselves, while others can get “weirded out” by individual counseling. If there’s one thing that real world experience and studies have repeatedly validated, it’s that pushing someone into the “wrong” kind of treatment will not help him or her get better. In fact, it can actually scare a person away from coming back for help, because the person doesn’t realize that there are other kinds of help available. Consider this scenario: Second offense Suzie hires DUI lawyer Average Ed, who manages to keep her out of jail. She is not in a sobriety court. When the Judge, following the probation department’s recommendation, orders that Suzie attend 2 AA meetings a week, neither she nor Ed has any strong negative feelings about that. Suzie is just happy to not go to jail, and Ed, while happy to have kept his client out of jail, feels that Suzie can also use the help. With her license now revoked, Suzie, who is 24 years old and an attractive young woman, finds the only 2 AA meetings anywhere near her home, one on Tuesdays, the other on Thursdays. When she walks into the church basement for her first meeting ever, she finds a room full of men, mostly over 60, and most with pot-bellies, flannel shirts and gray beards. Heads turn in her direction, and she cannot help but “feel” the eyes upon her as she takes a seat. She is not comfortable, and the “yuck” factor is rather high for her. The men, for their part, are all polite, but the reality is that any potential therapeutic benefit that AA may have had for Suzie went out the window when she walked into that room and got creeped out. Anyone who really understands modern treatment protocols would help Suzie look for an alternative to AA, instead of forcing her to attend the meetings that made her uncomfortable. A less-informed Judge may, however, simply conclude that Suzie’s dislike of AA is just a form of denial, and not change the requirement that she attend twice per week. A sharp Judge, however, would gladly consider alternatives like Smart Recovery, Women for Sobriety, Secular Organizations for Sobriety, or any of numerous other options. In the real world, where I work, this is a possibility in some sobriety courts, but not in others. As good as a sobriety court can be, a lawyer who understands the reality of addiction also knows that they are not for everyone. The sobriety court program has survived its pilot phase and grown because it has been able to attract participants. There is no doubt the program has helped a number of people. That sounds good, and is good, but sometimes people get motivated to get into sobriety court for the wrong reasons, and chief amongst those reasons is that a sobriety court Judge can override the mandatory driver’s license revocation for a 2nd offense DUI defendant and give a person a restricted license when he or she would otherwise lose it. This is a worthwhile reward for those who really work the program, but it can be an understandable temptation that lure others for whom getting help is not as much a priority as getting back on the road. And this is where things can really go wrong. It would be great if this was all black and white, and there could be some litmus test to separate those who really want to take advantage of the sobriety court program to get sober from those who just want to take advantage of the sobriety court program to keep their driver’s license, but there isn’t. In fact, even the AA program advises those who show up at a meeting to “fake it until you make it,” meaning just keep coming. Moreover, I’ve had plenty of driver’s license restoration clients who will admit that they hated being ordered into counseling or AA when they first started going, but eventually, the cliché’s and the lessons began to sink in, and that they eventually came to understand and even like going to one, the other, or even both. This means that today’s faker may be tomorrow’s success story. Of course, and whether it’s mandatory counseling (individual and/or group) this assumes such “help” is/was a good fit for the particular person. In addition, I’ve had license appeal clients who were in sobriety court for all the wrong reasons suddenly “get it” because of something like a probation violation that sent them to jail. People who get sober have their epiphany moments at the strangest of times. It’s like childbirth and death; it happens when it happens. It makes one wonder what percentage of people who went into sobriety court with good intentions came out genuinely sober, as opposed to those who signed on just to keep their license, but somewhere along the line had a “light bulb” moment. In that sense, it doesn’t matter, because sobriety is success. For my part, I don’t favor putting someone into sobriety court who is not honestly interested, up front, in quitting drinking. After all, at the end of the day, it’s all about quitting drinking. I know that if someone ordered me to go to counseling or to AA meetings and I really wanted to go because I really wanted the help, the minute I found myself in the company of people who weren’t likewise as genuinely interested in sharing and getting better, I’d shut down like Second Offense Suzie. I don’t consider sharing things that are so deeply personal to be any kind of spectator sport. And I know this happens because I’ve had lots of driver’s license restoration clients explain to me just how chilling it was to go through that, and they usually do so as they further explain how they managed to get sober without AA, or whatever kind of group they attended where they felt others in attendance were just there because they had to be (in other words, the “fakers”). I guess you could say that the fakers dilute the pool. Sure, some of them might come around, but who wants to open up about their struggles in front of someone who’d rather look at his or her watch and whose only interest is to get their attendance sheet signed. In a perfect world, a person who really wants help would just bail on this situation and try something else. 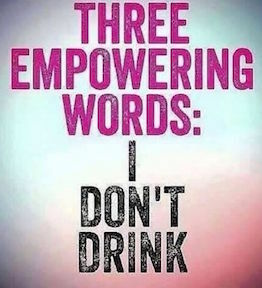 In some sobriety courts, however, that’s not an option. By limiting participation in the program to those who really want to be there, at least some of this can be avoided. We’ll stop here and pick back up in part 2.